Mather AFB, which closed September 30, 1993, is located in the unincorporated portion of Sacramento County, 12 miles southeast of downtown Sacramento. The base is composed of 5,716 acres and 970,000 square feet of buildings and auxiliary facilities. It includes a 11,300 foot runway and a parallel 6,100 foot runway; four aircraft hangars; office and industrial structures; 18 dormitory buildings; and 1,271 units of single family housing. As the home of the 323rd Flying Wing, Mather Air Force Base was a center for pilot, navigation, and bombardier training. In addition to the 11,300 foot runway, this 5,716 acre complex in the heart of the Highway 50 corridor possessed diverse aviation and industrial facilities, open space, and housing. The closure of Mather resulted in the displacement of 7,600 military and civilian workers and the diversion of over $150 million of income from the Sacramento economy. Mather Army Aviation Support Facility (AASF) is located southeast of U.S. Highway 50 on the former Mather Air Force Base (AFB), about 12 miles east of the state capitol proper in Sacramento. Interstate 5 provides north and south access and Interstate 80 provides east and west access. The Mather AASF is located in Sacramento County and Congressional District #5. The AASF is part of the former flightline operations area. The AASF facilities (armory and hangars) are sited on a 30-acre parcel located within the Mather Regional Park (business airport and light industrial development area). The airport is a joint-use facility, with military operations located on the north side of the runways. The local demographics provide a good recruiting population. The installation makes a positive contribution to the local economy in terms of salaried jobs and personnel purchases. The installation mission is to provide facilities for aircraft storage and maintenance, air operations planning and coordination, and unit training. The following are units that are stationed at the installation: Company A, 1-140th Aviation Battalion (32 people), 126th Medical Company (-) (Air Ambulance) (130 people), Company D, 1-140th Aviation Battalion (32 people), Detachment 1, Headquarters and Headquarters Company 1-140th Aviation Battalion (123 people), Detachment 32, Operational Support Airlift Command (eight people). The 126 MED CO has fifteen UH-60s. Company A, 1-140th AVN BN is transitioning from eight UH-1s to eight UH-60s. Detachment 32, OSAA has one C-12 aircraft maintained by two contractors. The AASF consists of a hangar, armory, operations building, and an associated administrative facility. The existing buildings and pavement (rotary and fixed wing and vehicle parking) are inadequate in size and condition to support the assigned units. The armory and administrative building are situated along MacReady Drive and Superfortress Avenue, just north of the AASF hangar and aircraft parking. Additional aircraft parking is located to the east of the armory. The taxiways and runways lie to the south of the facility. Mather Airport (officially called Sacramento Mather Airport) has been open as a public use air cargo and general aviation airport since May 5, 1995. Managed by the Sacramento County Department of Airports, the airport facilities include two parallel runways, one 11,300 ft. and the other 6,100 ft long along with 40 acres of exclusive air cargo ramp space. A new airport terminal opened in March 1998. More than 40% of the unfinished terminal space was leased to Trajen Flight Support, the airport's fixed-base operator. Mather Airport is also attracting some civilian cargo carriers operating under military contract. These carriers are using Mather as a substitute for Travis Air Force Base, whose airfield is already operating at full capacity. The airport lease for 2,875 acres was signed in March 1995. The County Board of Supervisors originally voted to accept the long-term airport lease with the Air Force subject to a modification of the lease to assure the County and future tenants of Mather Field Airport uninterrupted electrical, telecommunication, and natural gas service and continued maintenance of the base water, storm drain, and sanitary sewer systems. The Air Force agreed to operate the electric, gas and telephone systems for 18 months, with the County paying its fair share for using and maintaining these systems until a private entity takes over. In early February 1997, Trajen Flight Support began to modify a 420,000-gallon steel fuel storage tank located at the former Mather Air Force Base tank farm. By summer, aircraft fuel storage was available from the 40-year-old tank, which is fed directly from an underground Santa Fe Pacific gas pipeline. Since the civilian airport opened nearly two years ago, the number of large transport category aircraft reusing the airfield was constrained by the limited fuel storage capacity of fuel trucks. Trucks can only hold and transport 8,000 to 10,000 gallons of fuel, while a large cargo plane can require 10,000 to 15,000 gallons. Mather Airport is rapidly developing as a cargo depot. By its second year of operation in the fall 1997, the airport was operating at a level of activity initially expected by its 7th year. In May 1998, airfreight shipment at Mather topped 11 million pounds an increase of 46% in one year. In April 1996, Airborne Express and Emery Worldwide moved their operations from Sacramento International Airport to Mather. Two years later, on April 1998, United Parcel Service relocated its operations and 125 employees from Sacramento International Airport to Mather, effectively doubling the air cargo weight coming through Mather. Airborne, with nearly 80 Sacramento employees initially used half of an unoccupied hangar at Mather until its new 32,000 square foot permanent air cargo facility was completed in June 1998. Initially, Airborne operations consisted of a DC 8, which landed in the morning and departed in the evening. Packages were unloaded on the airport apron, sorted in the hangar and then transferred to small aircraft and vans for delivery. Emery Worldwide originally used half of a large warehouse building for it's sorting operation but is now building a 28,000 square foot facility due to be completed in the Spring 1999. BAX Global joined other cargo carriers in the summer 1997. In March 1998 United Parcel joined Airborne, Emery and BAX Global in operating at Mather Airport. Two operational upgrades-initiated on 01 July 2000-are facilitating the expansion of Mather Airport, the air cargo facility of the Sacramento County Airport System. The first is an air traffic control tower staffed on a 24-hour basis under the Federal Aviation Administration's contract tower program. Air traffic controllers at contract towers are certified by the FAA and comply with the same standards the agency has for its own controllers. The FAA and the County Airport System are funding the daily operational cost of the tower under a cost-sharing agreement, with the FAA paying for 16 hours of daily service and the System paying for the remaining eight. The second upgrade is the opening of an airport fire station at Mather, staffed with the Airport System's personnel and equipment on a 24-hour basis. A resulting benefit is that the fire and rescue response time has been reduced from seven minutes to between two and three minutes. Immediately following the closure announcement for Mather in 1988, Sacramento County formed a commission to plan for the reuse of the base. The Sacramento Area Commission on Mather Conversion (SACOM-C) and its subcommittees grew to over 150 members. Simultaneously with the SACOM-C preparation of a reuse plan, the Rancho Cordova Chamber of Commerce began preparation of a reuse plan. The ultimate plan approved by the Sacramento County Board of Supervisors in the fall of 1991 represented a consolidation of the SACOM-C and Rancho Cordova Chamber of Commerce reuse plans. In addition to the air cargo and general aviation airport, Sacramento County operates a 1,600 acre regional park containing among other things an 18-hole championship golf course, recreational lake, hiking trails, and an abundance of property for future development of recreational facilities that will benefit the entire community. A 770-acre Economic Development Conveyance (EDC) of the developed main base area and two large undeveloped areas on the east side of the base has been completed. Although the former Air Force base was identified for closure by the 1988 BRAC, sale negotiations between the Air Force and Sacramento County did not begin until 1992. At that time, the County and two large area home builders, Lewis Homes Enterprises and Elliott Homes, proposed to renovate the 1,271 Wherry and Capehart housing units for use as affordable and senior citizen housing. Five years later, a revised plan was necessary due to property deterioration, increased costs, and concerns of the community. Only Lewis Homes Enterprises remained involved with the project. 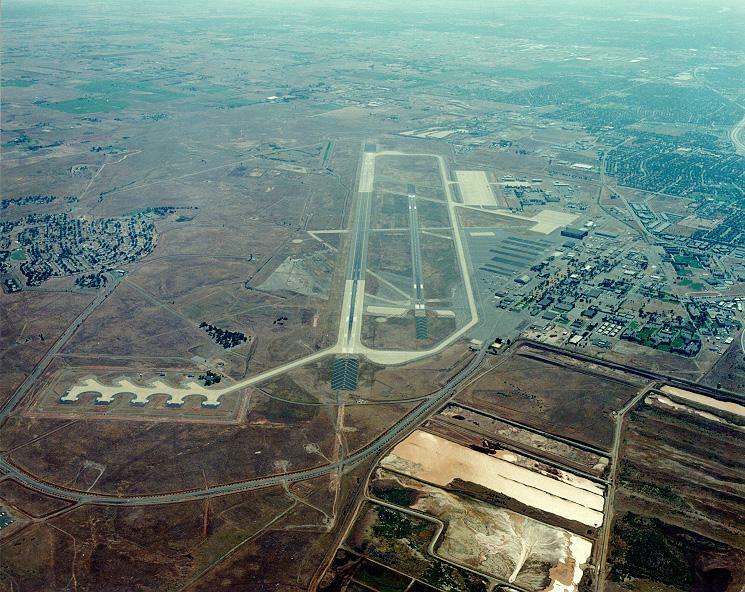 On October 31, 1996 the Air Force conveyed 757 acres at the former Mather Air Force Base to Sacramento County. In November 1995 the Federal Aviation Administration (FAA) announced that it would build an air traffic control facility on 32 acres at the former Mather Air Force Base. Construction began in September 1997 and the facility opened in late 2000. It consolidated operations that are now in older, smaller facilities in Oakland, Monterey, Stockton and at McClellan Air Force Base in Sacramento which control flight scheduling at all major airports in Northern California. About 300 people are employed. The Air Force approved the request by the Veteran's Administration for the hospital and 28 acres. The Office of Management and Budget (OMB) reviewed the request after analyzing a Price-Waterhouse study on VA needs in northern California. The study supports the use of the Mather hospital as a VA facility. By September 1997, the VA had moved much of the caseload from its downtown Sacramento outpatient clinic to Mather. The Mather hospital complex contains a three-story hospital built in 1971, two administration buildings built in 1986, and a 15,000 square foot warehouse built in 1995. In early 2001 the FAA selected three military airports for conversion to civil-only or joint-use status as part of a program designed to increase system capacity and reduce air traffic control delays. The airports are Gray Army Airfield in Killeen, TX; March Inland Port, Riverside, CA; and Mather Airport near Sacramento, CA. All will receive an unspecified level of federal funding under the FAA's Military Airport Program (MAP). The selections stemmed from the AIR-21 legislation signed into law in early 2000, which increased the total number of airports eligible for federal Airport Improvement Program (AIP) funding from 12 to 15. Mather Airport, formerly the site of the Air Force's navigator training program, has two runways (11,300 feet and 6,000 feet) that make it appealing to freight operators.